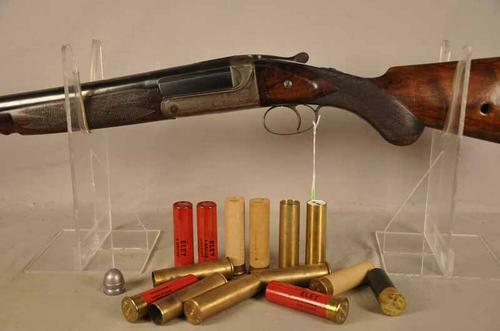 Really big bore shotguns (2, 4 & 8 gauges) used to be popular in the United States–until they were banned in 1918. 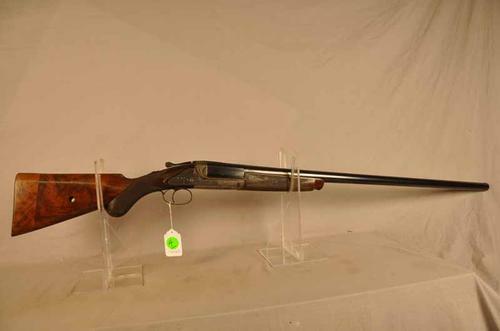 Unlike market guns, ones like these were made to pass shoot big birds like geese and swans. Today, some states allow you to use them on turkeys and pests like crows and coyotes. Other states have completely banned them for hunting. 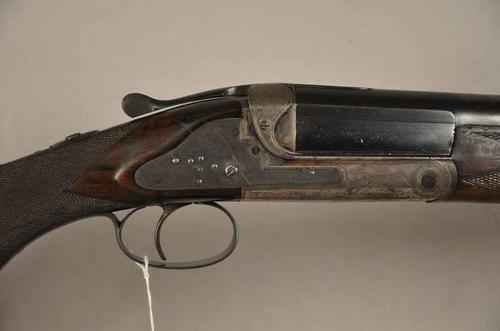 Fredrick Baker made guns in and around London from 1857-1913. While I’ve seen other guns bearing his name, this is the first hammerless 4 gauge by him I’ve ever seen. 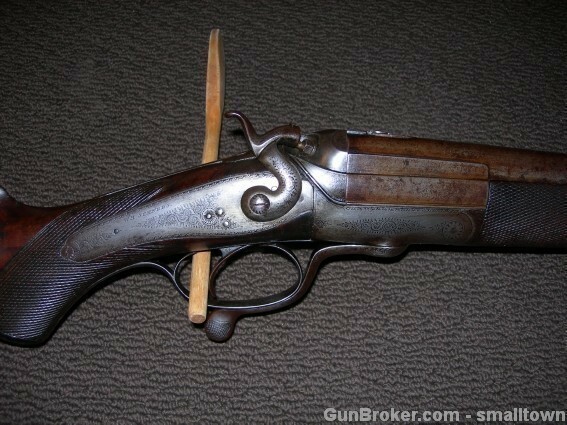 In fact, it’s the first hammerless 4 gauge I ever seen. It looks like it’s in excellent shape. The sleeved/nitro proofed barrels and ammo make it an extremely rare, and desirable, package. I bet it will go for a lot of money. 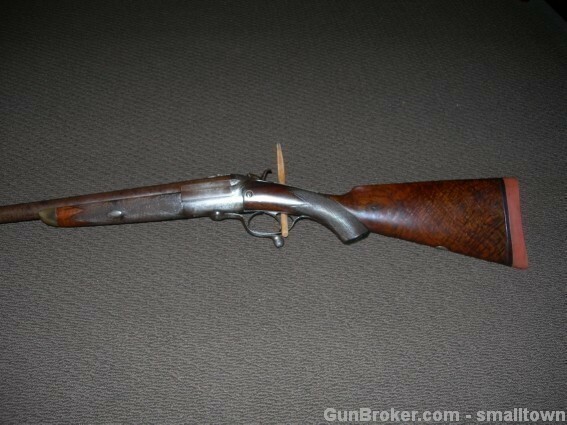 William Sumner was a gunmaker in Liverpool, England, from about 1858 to 1890. Eight gauges like this one are the most common ones you see. They’re usually the most affordable, too. 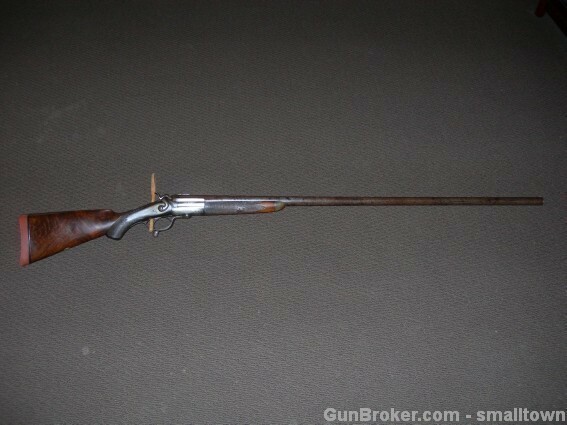 This gun was probably made around 1880. With that 42″ barrel, you could probably hold it up and let the birds run into it.